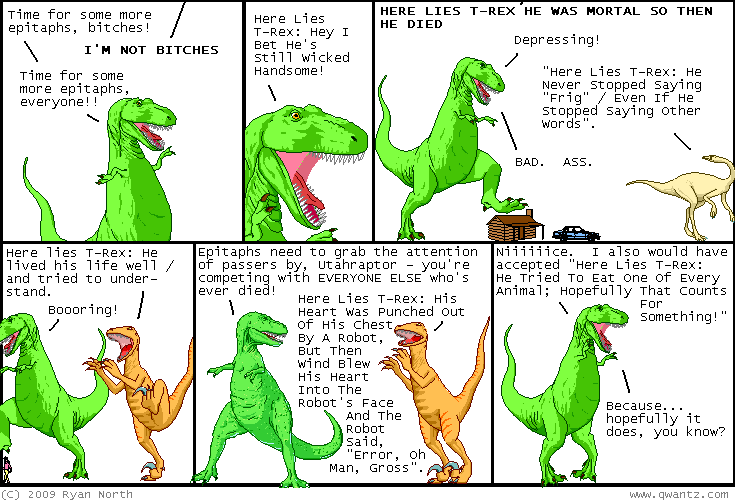 Dinosaur Comics - August 19th, 2009 - awesome fun times! –You really crapped the bed on this one! August 19th, 2009: I meant to mention: the Flower of Sperm Directed Onto Everything Ever can now be obtained in Lost Souls, an online MUD! The description is available on their Wiki too. If you hold on to this flower it heals you; I don't know what happens if you sniff it!